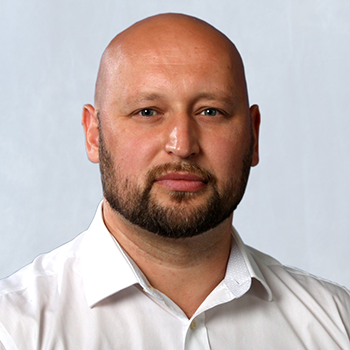 Professor Dan Boduszek is a Professor of Criminal Psychology, Director of the Quantitative Research Methods Training Unit (QRM-TU) and Co-Principal Investigator of the None in Three Research Centre. He was also a Co-Investigator on the EU-funded None in Three Project in Barbados and Grenada which laid the foundations for the establishment of the global None in Three Research Centre. He has extensive international experience of working in forensic settings, including maximum security prisons for recidivistic violent offenders. He conducts research in collaboration with several prison services around the world. His current research interests and publications include psychopathy, criminal social identity and criminal thinking styles, mental health in prisons, homicidal behaviour, recidivism and prisonisation, and violence against women and children. In terms of originality, Dan has introduced the Integrated Psychosocial Model of Criminal Social Identity (IPM-CSI) and the new model of psychopathy (Psychopathic Personality Traits Model – PPTM). His work has been internationally recognised by the academic community, as evidenced by Literati Network Award for Excellence in 2013, Albert Ellis Award for Research in 2014, and Rector’s Research Award 2017 (Poland) for his overall research contribution to the field of criminal psychology. Dan’s research has been supported by the Global Challenges Research Fund (Research Councils UK Collective Fund), Economic and Social Research Council, European Union, UNICEF, and Polish Prison Service. Dan is a founding editor of Journal of Criminal Psychology, associate editor of Frontiers in Psychology (Forensic and Legal Section), and editorial board member of Journal of Criminal Justice, Deviant Behavior, and Polish Psychological Bulletin. For more information on Dan, please visit his profile.